Live recordings taken from Stones tours between 1975-77 which sees them at their most drug-addled and lazy in many ways, but in other ways therein lies the appeal of this leery live stuff. It is a “riffy” album. 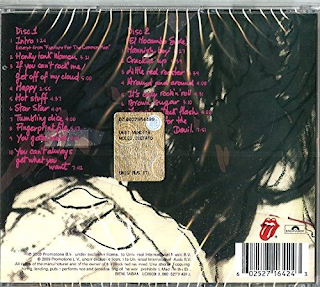 Keith Richards’ glorious riffs on cuts like the opening “Honky Tonk Women”, “If You Can’t Rock Me”, “Happy” and the risque “Starf....”. There is also a great version of “Fingerprint File” with Jagger on great form and the blues cuts of “You Gotta Move” and “Mannish Boy” see Jagger at his best again. The organ/guitar interplay on “Tumbling Dice” is sensational. Keith is on fire. 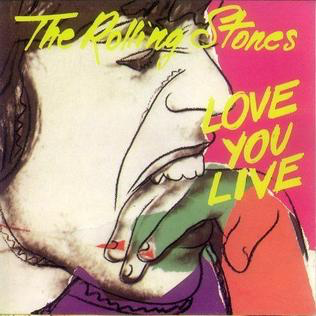 It even makes one forget Jagger’s slurred vocal on this one. The rarity of “Crackin’ Up” appears for the first time since the sixties as does “Around And Around” and are really enjoyable. “Sympathy For The Devil” is not their best rendition of it, a bit messier than others available. The piano-driven funk of “Hot Stuff” rocks though. Just listen to the first tracks though, there is a lazy Jack Daniels-soaked beauty about it. They were still cooking in these years. Check out the ad-lib percussion/guitar bit in “If You Can’t Rock Me” and then Keith comes in, and he’s blistering, although he probably didn’t want to be there, man. The laid back “Get Off My Cloud” with some excellent keyboards is almost soulful. Keith on the intro to “Happy.” Wow. He sings as if he means it. The album has finally been remastered acceptably after all these years. The great thing about it, though, is that although the performances are culled from different gigs, it plays like one complete concert with a more than credible set list order. 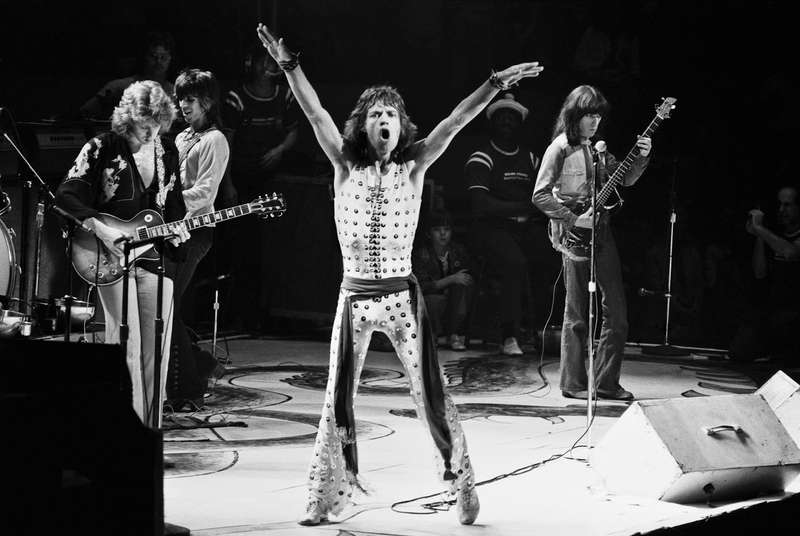 A better live release from this era, however, is the Stones Archive album, L.A. Forum 1975. This is not as bad an album as some say, though. The Stones are an easy target these days. Listen to this album, take yourself back to the mid seventies, and imagine you were at one of these gigs. You would love it. The heat. The smell of cigarettes, drugs, drink, sweat and perfume. Then The Stones come on. You feel a bit sick but what the heck. It's The Stones.